PRAIRIE VIEW, Texas, Sept. 14, 2018 /PRNewswire/ -- The Andrew W. Mellon Foundation has awarded Prairie View A&M University (PVAMU) a grant of $500,000 to support its effort to establish an African-American Studies Initiative which will be housed in its Marvin D. and June Samuel Brailsford College of Arts and Sciences. Inspired by the Mellon Foundation award, an anonymous donor pledged an added $250,000 to help fund this Initiative. This generous donation is eligible for a $250,000 university match, bringing the total support for the Initiative's launch to $1 million. The project, Enhancing the Humanities at PVAMU Through An African-American Studies Program Initiative, is designed to selectively infuse African-American Studies content throughout the university's liberal arts offerings. The initial concept for the program was conceived when Prairie View President Ruth J. Simmons called for the creation of an African-American Studies program in her first campus-wide address. Having directed Afro-American Studies at Princeton and Chaired the African-American Studies Department Visiting Committee at Harvard, President Simmons expressed surprise and disappointment that, given the University's cultural legacy, it did not have a formal program in African-American Studies. The primary intent of the proposed program is to infuse PVAMU's STEM focused university with curricular content and programming that emphasizes the centrality and benefit of the Humanities and Social Sciences in undergraduate education. Funding from the Andrew W. Mellon Foundation, along with additional gifts and donations, will allow faculty to revise and expand existing courses in the PVAMU Core Curriculum, in addition to developing new courses within and across the disciplines, to form and propose an African-American Studies Program (AAS). The Initiative will provide an interdisciplinary study of the experiences of people of African descent in America and abroad. Scholarly activities will provide students, faculty and the PVAMU community with a fundamental understanding of the social, economic, cultural and historical issues framing the contribution of African-American communities in America. To ensure the success of the Initiative, highly respected scholars will work with a select cohort of PVAMU faculty to act as advisors, assist in establishing program priorities, review core course themes and hold public lectures and workshops reflecting their respective fields in African-American Studies. "By strategically embedding African-American theme-based courses within the core curriculum, all students will have an opportunity to select courses that expand their academic interests while enhancing their engagement in the humanities," explained James Palmer, interim provost and senior vice president for Academic Affairs. Cornel West, Professor of the Practice of Public Philosophy at Harvard University. 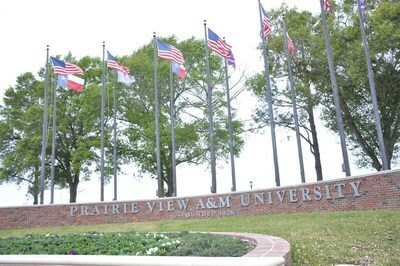 Designated an institution of "the first class" in the Texas Constitution, Prairie View A&M University is the second-oldest public institution of higher education in the state. 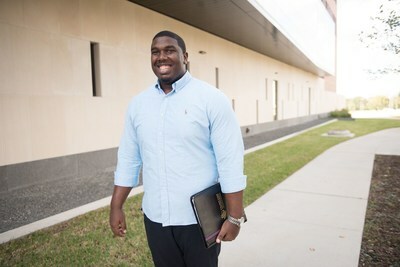 With an established reputation for producing engineers, nurses and educators, PVAMU offers baccalaureate degrees, master's degrees and doctoral degree programs through seven colleges and School of Architecture. A member of The Texas A&M University System, the university is dedicated to fulfilling its land-grant mission of achieving excellence in teaching, research and service. For more information regarding PVAMU, visit www.pvamu.edu.